To improve the patient experience and increase patient engagement, providers are deploying mobile health (mHealth) apps, according to a new infographic by Vmware Inc. But how can healthcare IT diagnose with certainty which mHealth apps among thousands are compliant, secure and user-friendly? 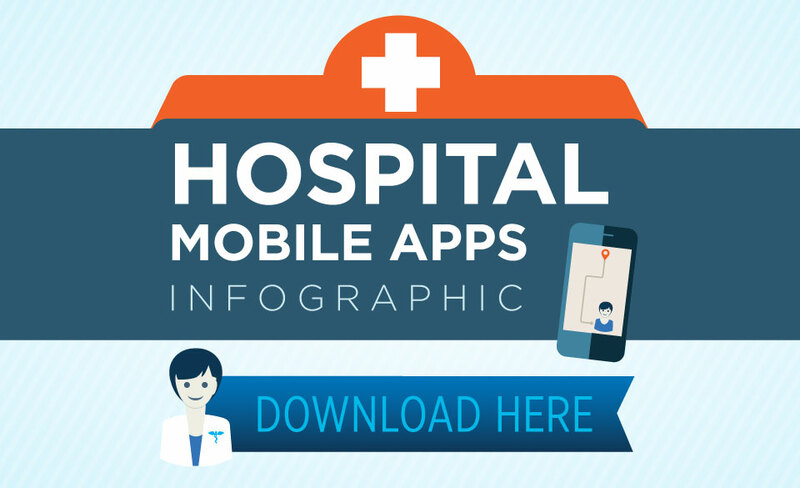 The infographic examines mobile app trends in healthcare. Mobile health applications, internet of things (IOT), wearables, kiosks, are part of an ever growing mobile ecosystem that aims to improve population health and clinical outcomes and reduce healthcare costs. With over 165,000 mHealth applications available on mobile devices, patients are taking their health into their hands, according to a new infographic by Vigyanix. 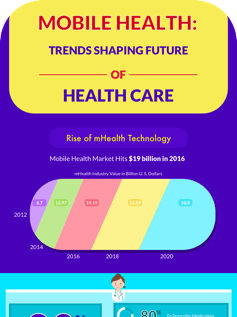 The infographic explores how these emerging mobile health trends are shaping the present and the future of healthcare. Digital health is everywhere, and its no secret that incumbent healthcare providers are grappling with a whole new landscape of products, services, and competitors, according to a new infographic by Signals. The range of products and services are astounding, combining consumer, medical and clinical: tech wearables, fabrics with sensors, mHealth apps for diagnostics and chronic care management (and everything in-between), e-medical centers, patient engagement platforms, and more. The infographic by Signal identifies today’s leaders in the digital health space. Most mobile health apps developed by hospitals are failing to win over patients, according to a report by Accenture. A new infographic by Digital Splash Media highlights the results from the Accenture report including details on app utilization and functionality. 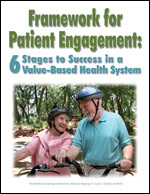 When patients get lost, they don’t just end up late to their appointments. They also arrive (if they do arrive) stressed and anxious—possibly even angry. Late appointments can back up schedules, hinder necessary administrative processes and create costly inefficiencies, according to a new infographic by Phunware. The infographic illustrates how a wayfinding hospital app can: improve appointment flow and compliance; streamline administrative processes; and alleviate expensive inefficiencies. Infographic: What Makes a Successful mHealth App? With over 10,000 medical apps available today, only 28 percent of smartphone users have reported to be very satisfied with the overall mHealth app quality and experience, according to a new infographic by Vigyanix. The infographic details the components of a successful mHealth app and the pitfalls to avoid. Despite reimbursement challenges, the healthcare industry is charged up about remote patient monitoring to manage chronic illness: two-thirds of respondents to HIN’s 2015 Telehealth and Telemedicine survey monitor high-risk patients in this fashion. Encouraged by early success in coaching 23 patients to wellness at home via remote monitoring, CHRISTUS Health expanded its remote patient monitoring (RPM) enrollment to 170 high-risk, high-cost patients. At that scaling-up juncture, the challenge for CHRISTUS shifted to balancing its mission of keeping patients healthy and in their homes with maintaining revenue streams sufficient to keep its doors open in a largely fee-for-service environment. Posted in e-Health, Health IT, Infographics, mHealth | Comments Off on Infographic: What Makes a Successful mHealth App? As the adoption rate of mobile medical applications is increasing by healthcare professionals and consumers, medical apps are changing they way patient care is delivered. From improved patient safety to better access to care, healthcare apps are revolutionizing the way patients are engaged in their health, according to a new infographic by Vigyanix. The infographic looks at the types of apps available to patients, how healthcare professionals use apps and the benefits of healthcare apps to both patients and healthcare professionals. 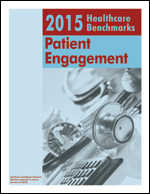 2015 Healthcare Benchmarks: Patient Engagement documents strategies, program components, successes and challenges of engaging patients and health plan members in self-care from more than 100 organizations responding to the 2015 Patient Engagement survey by the Healthcare Intelligence Network. The infographic examines the components of a successful mHealth app and the pitfalls to avoid. Posted in Health IT, Infographics, mHealth | Comments Off on Infographic: What Makes a Successful mHealth App? Mobile health apps are changing the way doctors and their patients approach medicine and health issues. Some 86 percent of healthcare professionals believe that health apps will increase their knowledge of their patients’ conditions and 46 percent believe app will improve the doctor-patient relationship, according to a new infographic by Research Now. The infographic highlights results from a Research Now survey of healthcare professionals and health app users, including details on how mhealth apps can help patients and expected adoption rates. Recent market data on telehealth in general and the patient-centered medical home in particular identified home health monitoring as a key care coordination strategy for individuals with complex illnesses as well as a host of vulnerable populations. 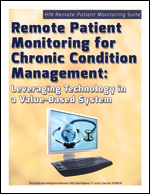 2014 Healthcare Benchmarks: Remote Patient Monitoring delivers a comprehensive set of metrics from more than 100 healthcare organizations on current practices in and ramifications of remote monitoring for care management of chronic illness, the frail elderly and remote populations. Americans are ready and willing to leverage health apps and wearable devices to improve their personal health, according to the findings released from the Fifth Annual Makovsky/Kelton “Pulse of Online Health” Survey. 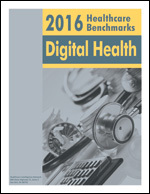 Designed to uncover shifts in consumer behaviors around online healthcare information use, this year’s survey reveals consumer readiness to disclose online personal health data as a path to improve treatment options. Data also cite trust and quality of health information as important factors in consumer selection of online health sources. Highlights from the survey are depicted in an infographic by Makovsky. 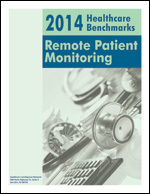 2014 Healthcare Benchmarks: Remote Patient Monitorings delivers a comprehensive set of metrics from more than 100 healthcare organizations on current practices in and ramifications of remote monitoring for care management of chronic illness, the frail elderly and remote populations.